What happens next? That’s up to you. While the whole team at Arturia are thrilled for the imminent release of MiniBrute 2, MiniBrute 2S, and RackBrute, they are merely tools for you to explore your creativity. Conduits for your inspiration. Interfaces for your musical experimentation and discovery, with practically infinite possibilities available to you. We can’t wait to hear how you use them. As you’ve seen, the top secret Arturia sonic research labs have been busy! 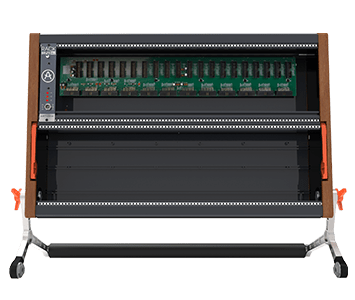 Get more information on this incredible sequencer-synth hybrid, get to grips with its features, and be inspired by its enormous creative potential. 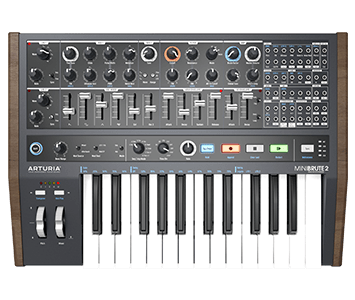 Meet MiniBrute 2, Arturia’s revolutionary analog monosynth reborn for the modular age. 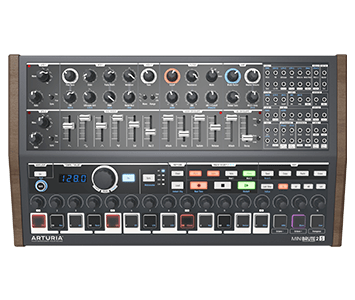 Arturia’s latest instrument is a thrilling, adaptable synthesizer that can’t wait to meet your other instruments. 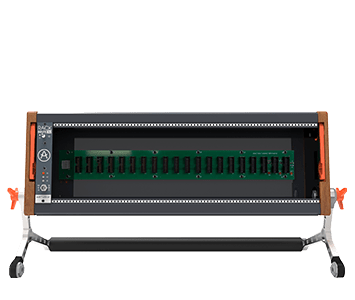 Created for musicians, by musicians, MiniBrute 2 combines huge analog tone, powerful sound shaping features, step-sequencer, arpeggiator, and a modular patchbay to create the ultimate synth for true musical pioneers. MiniBrute 2 is a superbly powerful standalone synth with outstanding connectivity and massive creative potential. If we've piqued your curiosity, why not take a closer too at MiniBrute 2, and discover the true power the next generation of Arturia synth?